Ocean Crusaders don’t just provide you the ultimate in waterway cleaning. We clean with a passion to rid our oceans of marine debris and hence we go the extra mile to work with councils and other organisations to find better ways to clean more efficiently and hence develop new technologies that will see less debris enter the oceans. Over multiple visits or longer contracts we develop trends and find hot spots with the idea of providing factual evidence to departments that can install new devices, or develop source reduction schemes. 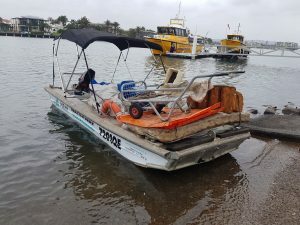 Since the start of 2017 we have been contracted by the Sunshine Coast Council to clean their inland waterways. Over this period we have worked very closely with the Waterways Technical team and have advanced our efforts, developed new devices and pinpointed hot spot areas where council can install additional devices. To find out more, visit here.